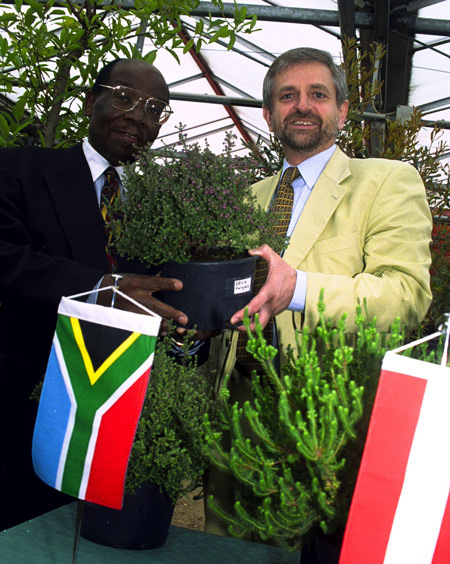 The Tokai Park section of Table Mountain National Park in Cape Town, South Africa, has been in the media spotlight of late, as its pine plantations are being felled by Mountain To Oceans Forestry ahead of the exciting project to restore the Critically Endangered Cape Flats sand fynbos. Here are some fun facts about this extraordinary and beautiful vegetation, which is an important part of South Africa’s stunning natural heritage. 1. 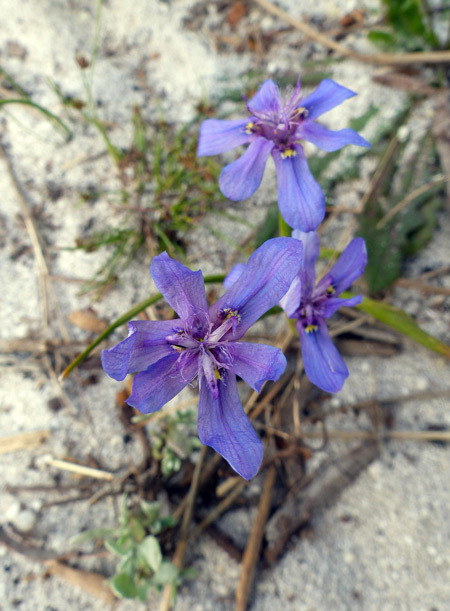 Cape Flats sand fynbos is endemic to the greater Cape Town area. This is definitely something unique for Capetonians to be proud of and a reason why we should conserve it to the best of our ability. 2. 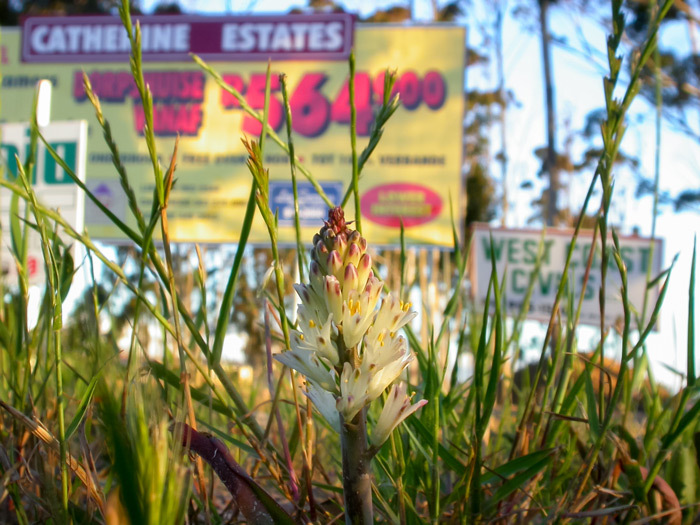 Despite having lost 87% of its former distribution to urbanisation, Cape Flats sand fynbos hangs on in some unlikely places. It can be found surviving in the centre of two different racecourses within the greater Cape Town area – including Milnerton Racecourse and Kenilworth Racecourse conservation areas. This vegetation type also survives in the centre of the N1/N7 interchange, where several Critically Endangered species can notably be found. 3. Cape Flats sand fynbos is home to the smallest frog in Africa – the microfrog or Cape Flats frog, which is only 18mm in length. This tiny creature has only been found in one population in the Cape Flats and a few others in coastal fynbos habitats on the other side of False Bay. It is listed as Critically Endangered on the IUCN Red List. 4. 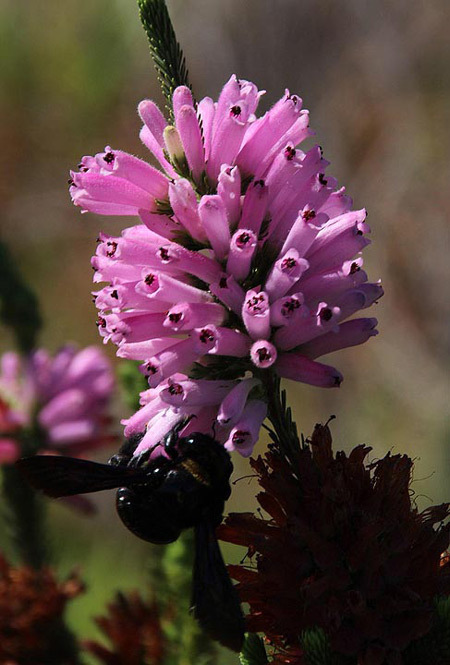 Cape Flats sand fynbos is home to Erica turgida, the only plant species known on Earth to have been almost brought to extinction by the construction of a branch of McDonalds, where biodiversity was swapped for fast food. Luckily for this species, it was collected before it was lost forever and survived in living collections at Kirstenbosch National Botanic Gardens and Schonnbrunn Botanic Gardens in Vienna. 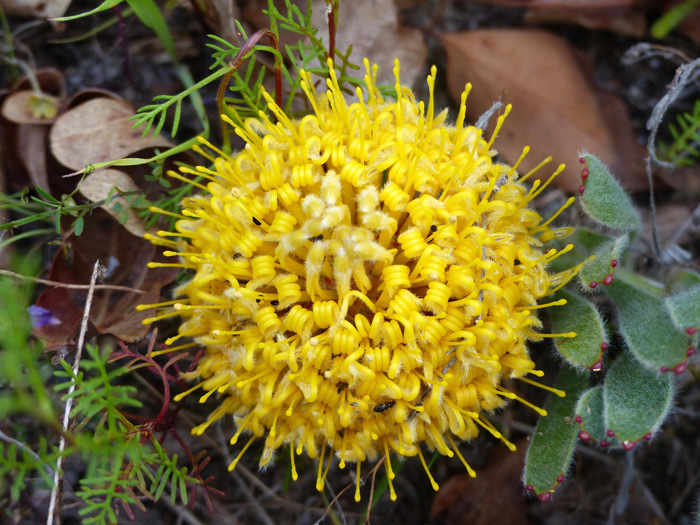 Material from there came back to South Africa and this species has now been reintroduced into the wild at several key sites on the Cape Flats where it is doing well. 5. 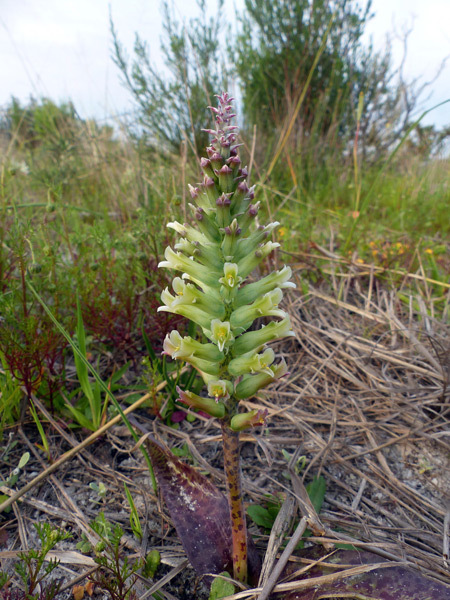 In order to reach both national and international conservation targets that are in line with the International Convention of Biodiversity, and given that there is only 13% of the former extent of Cape Flats sand fynbos left, we have to restore areas where soil seed banks of this vegetation type survives to help bring it back from the brink of extinction. The largest and most well preserved of these is under pine plantations at lower Tokai Park in Cape Town’s Southern Suburbs. Restoration work is ongoing at this site and has been highly successful. A total of 350 species have grown thus far from the soil seed bank, which is more than in the South African section of Kruger National Park. 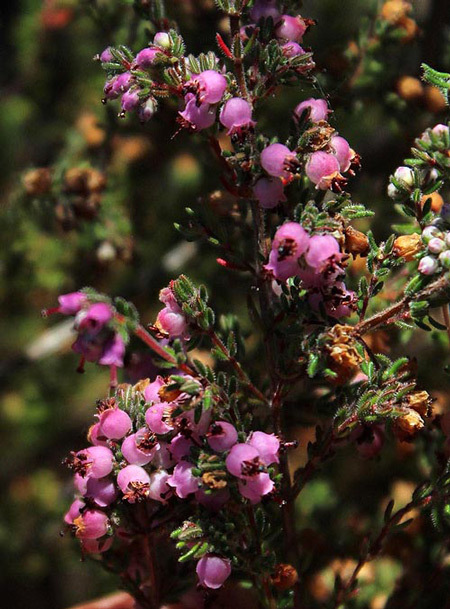 Several extinct-in-the-wild species have also successfully been reintroduced, including the beautiful Erica verticillata, a flagship species for conservation in the Cape Flats. This is where we need your help. This week we need to gather as many signatures in support of restoration work in this habitat. So please sign here and share with your contacts. The Cape Flats sand fynbos thanks you! 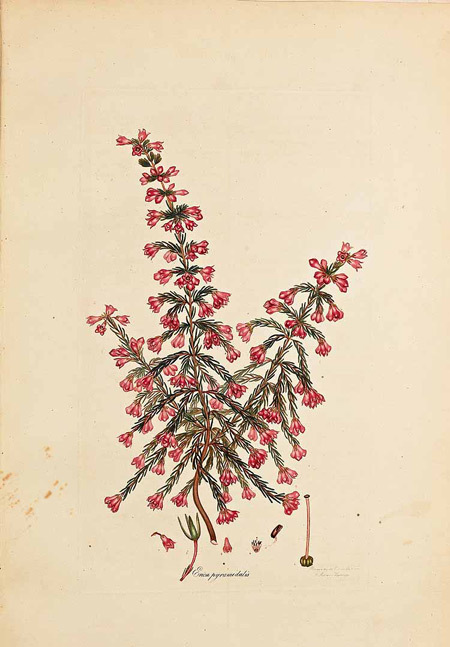 An illustration by Andrew Heathery of Erica pyramidalis, which is now extinct. The illustration was photographed by Ted Oliver.